Interpretation and Analysis — Cordax Evaluation Technologies Inc.
"Production logs indicate that, due to sub-optimized completions, 30% – 40% of perforation clusters contributed no production whatsoever, leaving considerable reserves in place." Pre-set geometric completions and stimulation designs do not factor in these critical well characteristics. LWT – Logging While Tripping (LWT) services, when combined with Zone Grader analysis and interpretation allow you to make informed completion decisions using real openhole data and enhance the producibility of your reservoir. By understanding the petrophysical and mechanical properties of your well a customized completion can be developed to tailor your stimulation program and reduce expenses. This fine tuning of each stage and frack cluster improves effectiveness and saves costs by right-sizing your completion budget. 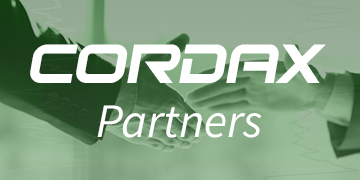 Cordax's proprietary Zone Grader analysis and interpretation answer product helps operators use the acquired Logging While Tripping (LWT)openhole data to optimize the producibility of their conventional and unconventional wells. The detailed petrophysical and geomechanical analysis facilitates customized completion and stimulation programs. The outputs can also be integrated with drilling information and mud logs to produce a clear picture of the wellbore conditions. Zone Grader will classify Geomechanical and Producibility grade each selected zone or stage compared to each other along the wellbore. The ZoneGrader score is a summation of all the "pay" indicators. Each producing area is unique as to the cutoffs that will adequately flag potential reservoirs. In horizontal wellbores, the ZoneGrader will flag the areas where individual perforation clusters may need to be adjusted when using a geometric completion design.